Rob Divers, RN, is the author of  “Magic Nurse Bedside Artist”, A motivational guide to the benefits of combining art with nursing. 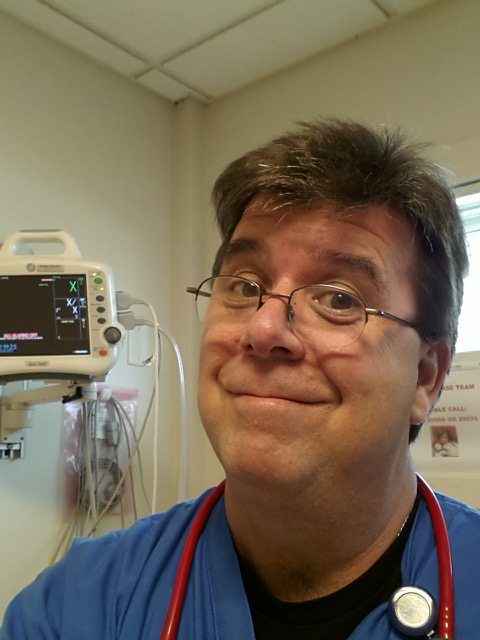 A practicing RN in ER and pediatrics for 23 years, he has included therapeutic magic, comedy and music into his clinical practice. Rob started Magic Nurse, LLC in 2012 to educate and encourage the use of performance art in clinical environments, making bedside visits in Dallas hospitals. Travelling with Patch Adams, MD on clown missions, and working with medical clowns in Israel, he discovered essential benefits combining therapeutic art with medicine. Performing Arts in Nursing practice: Healing with Humor, Music and Magic!